Photophobia, or light sensitivity, is an intolerance of light. Sources such as sunlight, fluorescent light and incandescent light all can cause discomfort, along with a need to squint or close your eyes. Headaches also may accompany light sensitivity. Light-sensitive people sometimes are bothered only by bright light. In extreme cases, however, any light can be irritating. Photophobia is not an eye disease, but a symptom of many conditions such as infection or inflammation that can irritate the eyes. Light-filtering shields are helpful if you are sensitive to sunlight or even strong indoor lighting. Shown are Cocoons Sidekick flip-up shields that are designed to work with prescription eyeglasses. They are available in five different colors, each with its own light transmission and glare reduction capability. 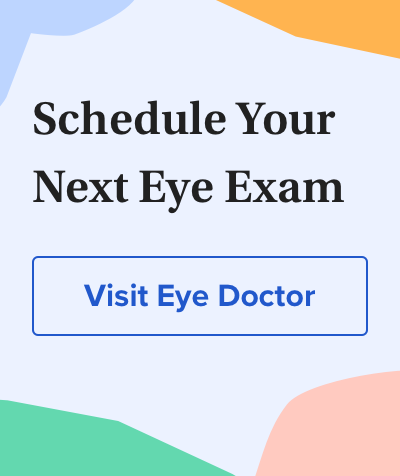 Your eye care professional can recommend the best one for your needs. Light sensitivity also can be a symptom of underlying diseases that don't directly affect the eyes, such as virus-caused illnesses or severe headaches or migraine. People with a lighter eye color also may experience more light sensitivity in environments such as bright sunlight, because darker-colored eyes contain more pigment to protect against harsh lighting. Other common causes of photophobia include corneal abrasion, uveitis and a central nervous system disorder such as meningitis. Light sensitivity also is associated with a detached retina, contact lens irritations, sunburn and refractive surgery. Photophobia often accompanies albinism (lack of eye pigment), total color deficiency (seeing only in shades of gray), botulism, rabies, mercury poisoning, conjunctivitis, keratitis and iritis. Certain rare diseases, such as the genetic disorder keratosis follicularis spinulosa decalvans (KFSD), are reported to cause photophobia. And some medications may cause light sensitivity as a side effect, including belladonna, furosemide, quinine, tetracycline and doxycycline. The best treatment for light sensitivity is to address the underlying cause. Once the triggering factor is treated, photophobia disappears in many cases. If you are taking a medication that causes light sensitivity, talk to your prescribing physician about discontinuing or replacing the drug. If you're naturally sensitive to light, avoid bright sunlight and other harsh lighting sources. Wear wide-brimmed hats and sunglasses with ultraviolet (UV) protection when outdoors in daylight. Also, consider wearing eyeglasses with photochromic lenses. These lenses darken automatically outdoors and block 100 percent of the sun's UV rays. For bright sunlight, consider polarized sunglasses. These sun lenses provide extra protection against glare-causing reflections of light from water, sand, snow, concrete roadways and other reflective surfaces. In an extreme case, you may consider wearing prosthetic contact lenses that are specially colored to look like your own eyes. Prosthetic contact lenses can reduce the amount of light that enters the eye and make your eyes more comfortable. Judith Lee and Charles Slonim, MD, also contributed to this article.